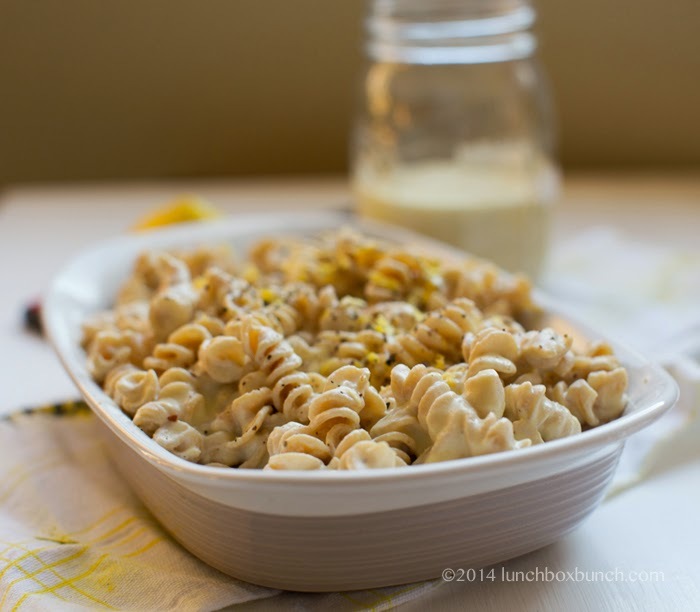 Creamy Vegan Alfredo Pasta Bake. Fast. Easy. Lemon-y. Cheezy. 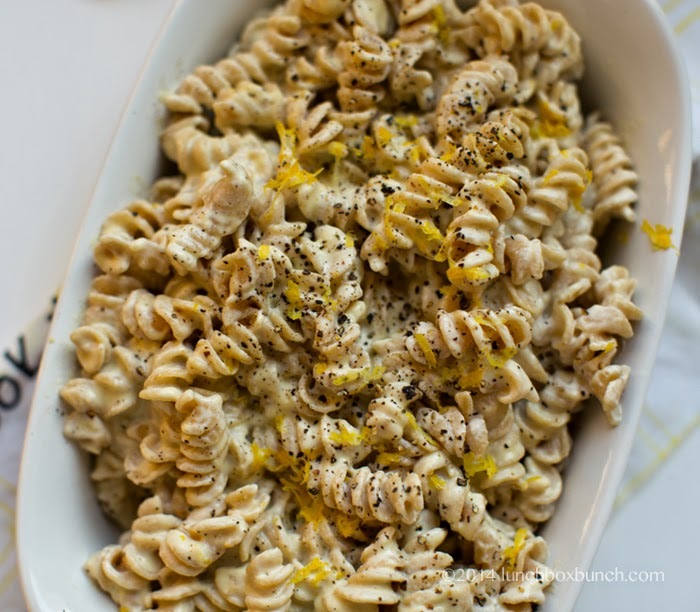 My fast and easy Creamy Vegan Alfredo Pasta Bake has accents of lemon, pepper and is loaded with dairy-free cheezy flavor. 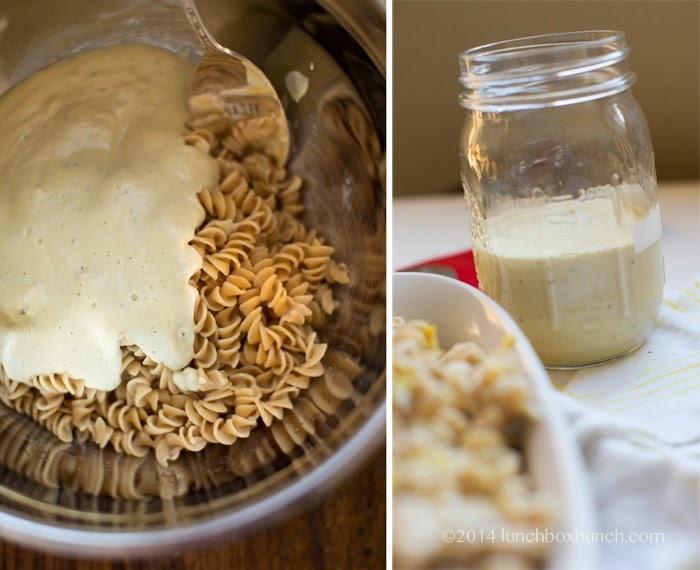 Dairy free Alfredo, put it on your menu this week!.. This creamy-rich, velvet-y texture is made possible by blending soaked raw cashews. Speedy Recipe! You can easily get away with soaking your cashews in hot water for a few hours (as opposed to having to do 8 hours or overnight as I would normally advise.) The longer you soak cashews the softer they will become, but I did a hot water soak for about 2 1/2 hours and this sauce was perfection. A quick two hour soak in hot tap water and you are good to go. My favorite thing about this dish is the BAKING part. 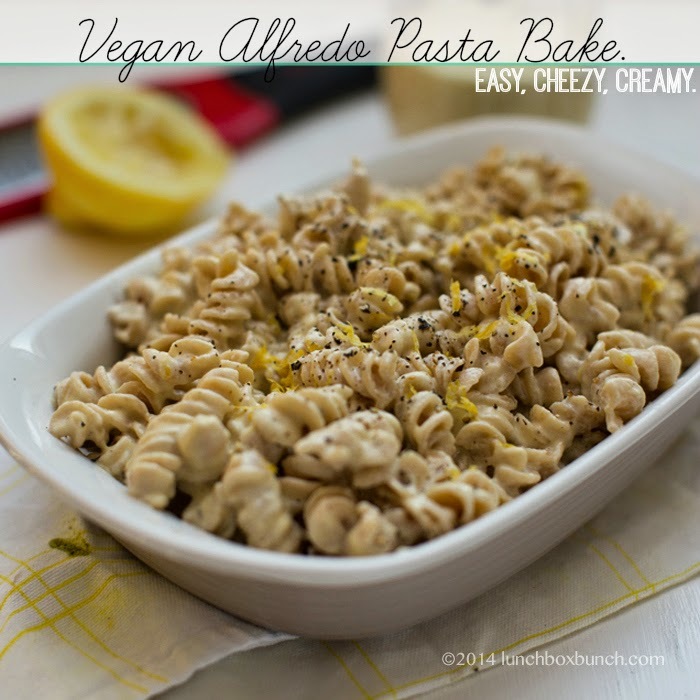 You may be tempted to just toss your vegan Alfredo sauce with some cooked pasta and serve right away (which is, yes, amazing and delicious) but baking the pasta takes it to this comfort food, super rich, soft pasta level that is very cravable. 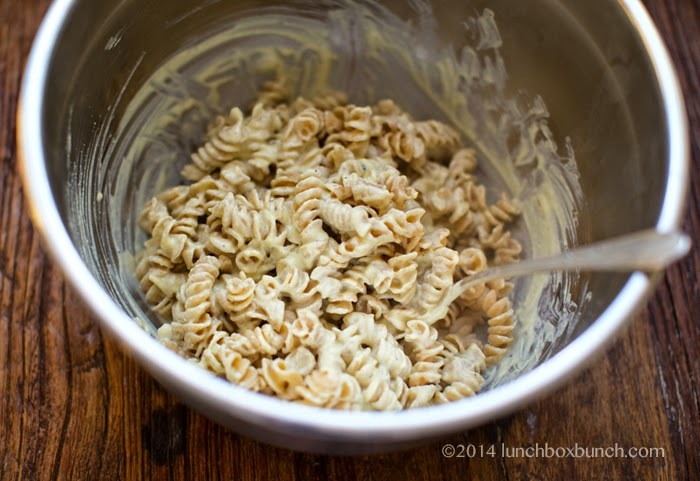 Then to make things extra decadent, I will serve each baked spoonful of pasta with an extra drizzle of leftover Alfredo sauce. Yup. This recipe is all about that sauce! Note: The photos show the pre-baked pasta. The baked pasta becomes super soft and marinated looking like a casserole, and then I poured extra sauce on to serve. Comfort meal. 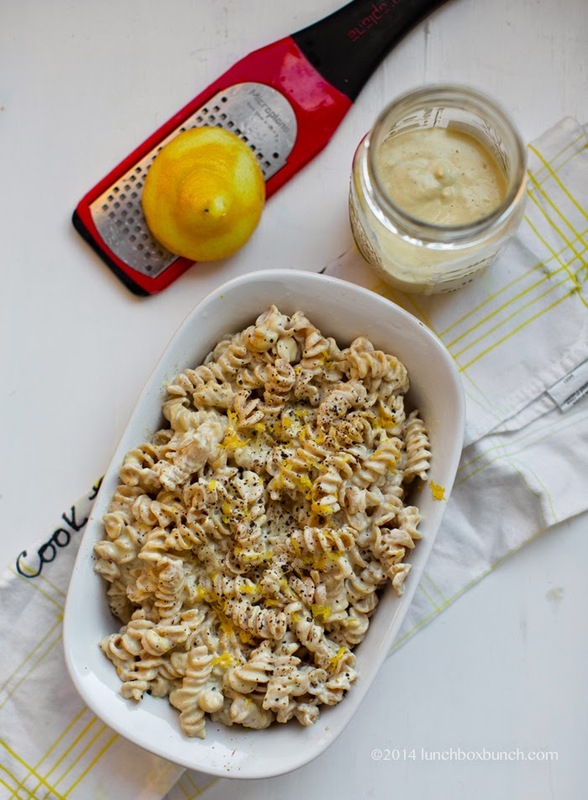 For the pasta, you should use either spiral, penne or maybe a tubed pasta. 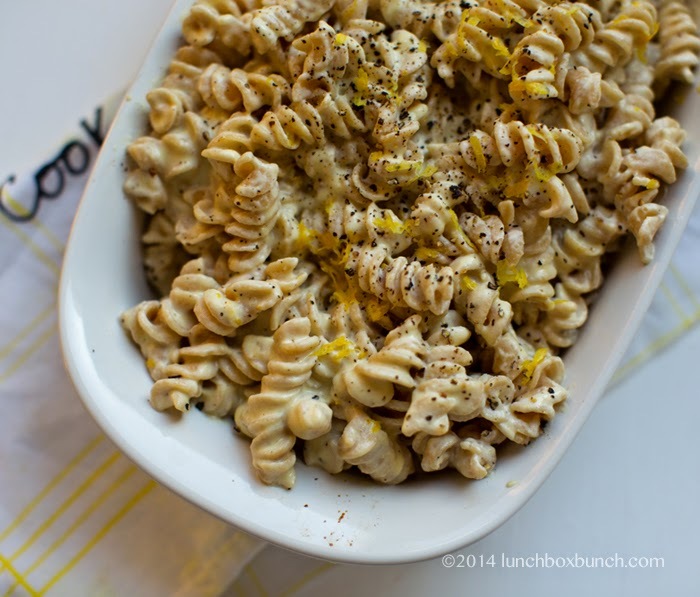 Macaroni or ziti could even work. 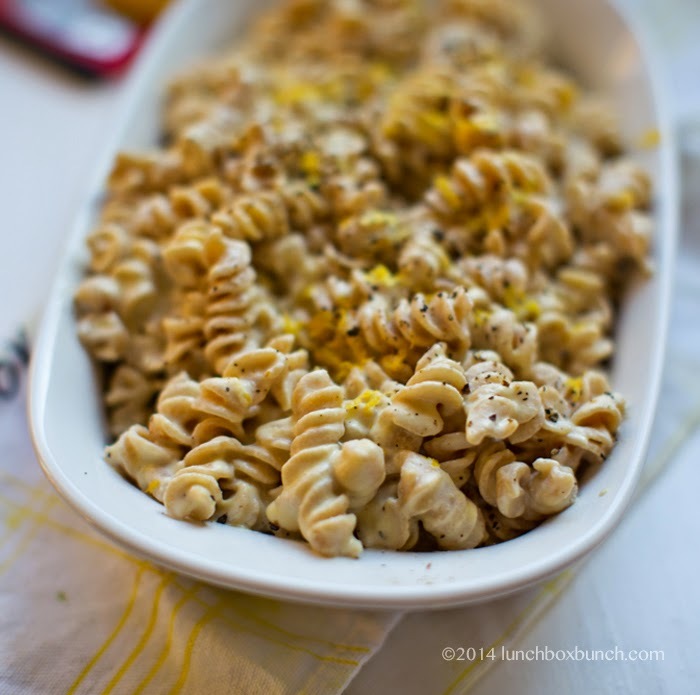 I used our favorite pasta ever: Kamut Spirals. This recipe really is a breeze. Serve with a nice hearty side salad and some crusty rolls and dinner is amazing. You will want to pre-soak your raw cashews. You can quick soak in salted HOT water for at least two hours. The longer you soak, the better, but two hours will be sufficient. Add the cashews, non-dairy milk, lemon, nutritional yeast, miso, lemon zest and black pepper to a high speed blender or food processor. Blend until silky smooth. Add optional pasta water to thin sauce as desired. 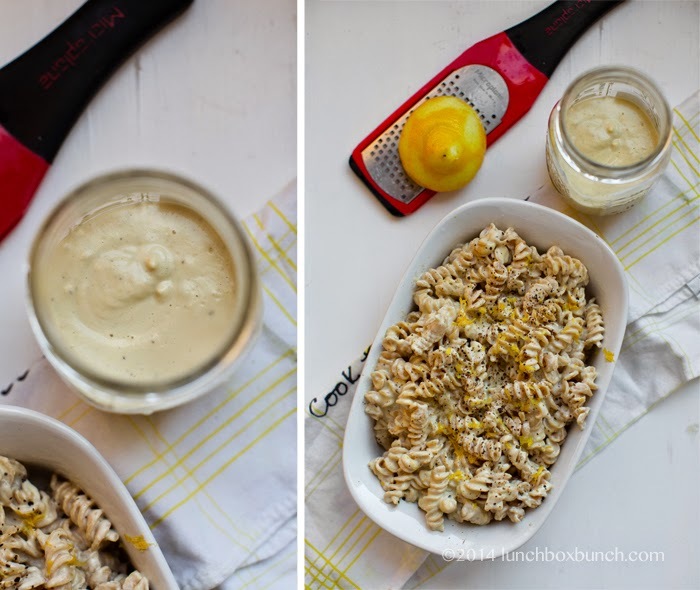 Cook pasta and drain. Toss with sauce. I like to add about 2-3 Tbsp sauce for every cup of cooked pasta. But you can add more or less sauce per pasta amount to taste. Toss well. 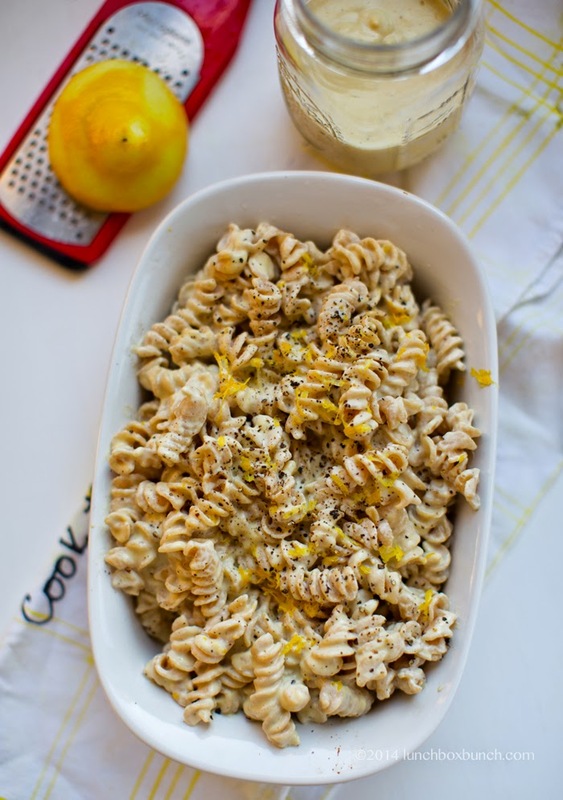 Pour into an oven-safe baking dish and top with some additional lemon zest and black pepper. Bake pasta in a 350 degree oven for 10-15 minutes, until tender. Serve warm with extra sauce drizzled over top. You can also add more lemon zest or pepper just before serving. Prep Time: 02 hrs. 20 mins.